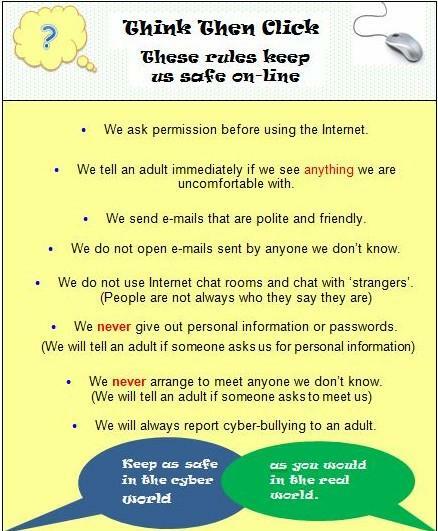 E-Safety encompasses Internet technologies and electronic communications such as mobile phones and wireless technology. It highlights the need to educate children and young people about the benefits and risks of using new technology and provides safeguards and awareness for users to enable them to control their online experiences. The links at the bottom of the screen will take you to a wide range of recognised groups and organisations dedicated to keeping children safe when using the internet or other forms of electronic communication.